Established in the year 1969, we,“P. 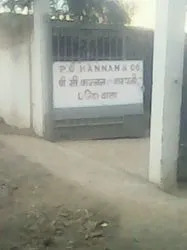 C. Kannan & Co.” an ISO 9001:2008 & HACCP company are a well established organizations indulged in manufacturing, supplying, distributing, wholesaling and exporting an optimum quality Indian Spices, Agro & Dehydrated Products and Food Mix And Papad. We have specially processed all our products from best grade factor components and ingredients as per the global food standards under hygienic conditions. Owing to these reasons, our products process salient features like rich nutritional value, splendid taste, optimum purity, no adulterants & moisture content, rich aroma and longer shelf life. Further, we provide this range in qualitative packaging materials to avoid the entry of impurities and dirt and retaining the original characteristics of our products intact. 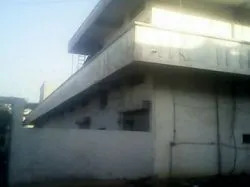 Our well designed infrastructure based at Indore, (Madhya Pradesh, India) has enabled us to execute our business operations in a systematic manner. It is installed with all the modern facilities to keep in pace with the latest trends of the market and providing customized solutions to the patrons. All the operations are carried out under the strict vigilance of quality analyzers to remove any chance of flaw or impurities in our products. Further, our advanced R & D department conduct several researches and provides suggestions to improve our product line so as to meet the international food standards. Under the valuable guidance of our mentor, 'Mr. 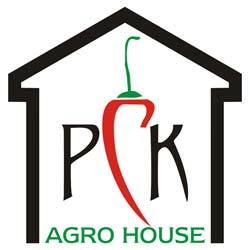 P. C. K. Maheswaran' we have been able to sustain a high position in this competitive market over the years. His motivating persona, rich knowledge, transparent business dealings and commendable experience have played a key role in optimum success of our organization and maintaining global food standards in our product line. 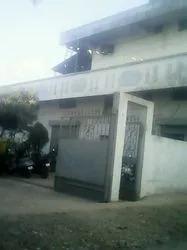 Manufacturer, Trading of Indian Spice and Masala. Our organization has been recognized as an ‘Export House’ by the Government of India. The processing unit set up at Virudhunagar in Tamilnadu is also been recognized as ‘Spice House’ by the Spices Board of India. This is a kind of certification which is given to units which perform good manufacturing practices. 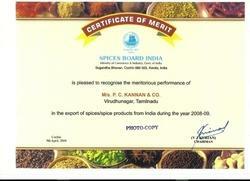 The excellent performance in exporting spices has also earned us a precious award by the spices board. We are also awarded as the ‘Topmost Exporter of Coriander’ in India for seven times in the last ten years. Furthermore, we also have a unit located at Indore which is also certified under ISO 9001: 2008 and HACCP by TUV, Germany. 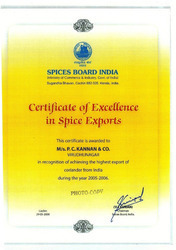 Certificate of Merit for Export of Spices.